How could you miss them? That yellow was bright! 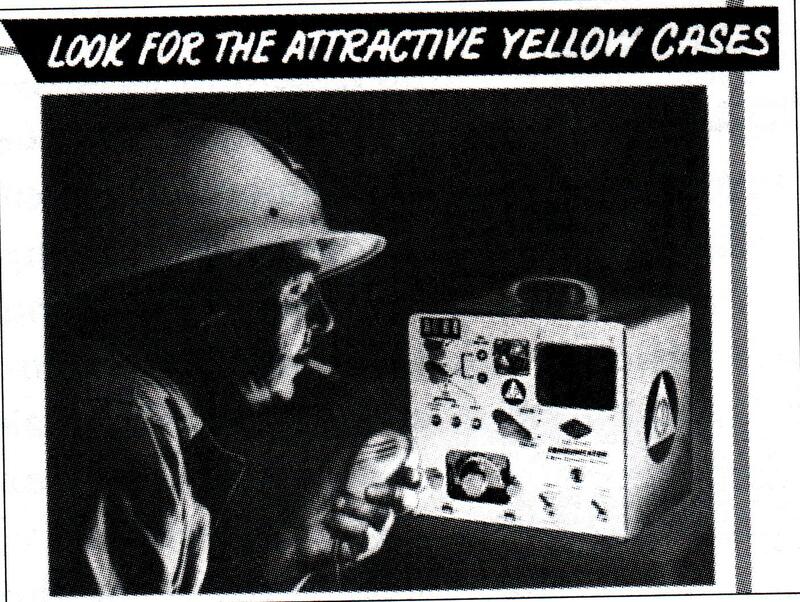 Apparently you needed high visibility to cope with the looming danger of nuclear annihilation. The operator in the ad is obviously calm in the face of Armageddon -- note the cigarette dangling from his lips. 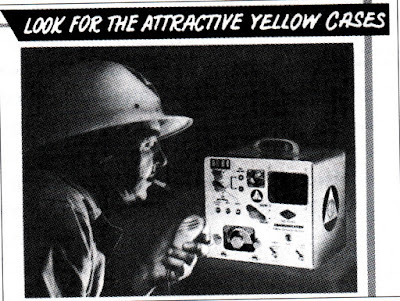 In this 1956 Gonset ad we can see the inspiration behind what -- many decades later -- has emerged as the avant-garde ham radio color scheme known as Juliello. The roots of this aesthetic are clearly not in the psychedelic "Mellow Yellow" hippie era. No, this color has harder, more flinty origins. Don't let that Meara guy give you a hard time over the yellow Rigs. The last three of mine have been yellow and I'm happy to see I'm not the only one with good taste. In the picture they are from top to bottom a 30M One Watter, a 20M One Watter and of course the BITX 40. The 20M does have a Juliano Blue cover though to give it an extra bit of class! As always, enjoyed the podcast. Bill, see you at Berryville? HAHAHA I was chuckling away to the colour discussion while listening to the latest pod cast. My MKARS80 case is Yellow. Anyone guess why? Having some yellow spray paint left over from another non-radio job might have something to do with it. Similar reason possible in 1956? They got a load of yellow paint cheap. The marketing men came up with the reason! PFR3s are yellow to be visible when laying on the ground. Design requirement. 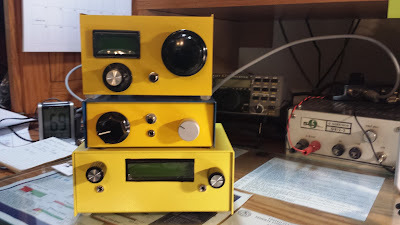 I should start painting my rigs yellow - it'll make them easier to find in my messy shack.